Chocolate, amongst all the products exported from Belgium, is definitely the most prestigious. During this excursion, we will understand why this famous Belgian chocolate is so renown and...rightly so. The splendid city of Ghent﻿ will mark the start of our day which is sure to arouse all the senses. After an hour's journey by coach we will reach Ghent. Former wool and art epicentre of Europe, it was once the second largest city in Europe after Paris. 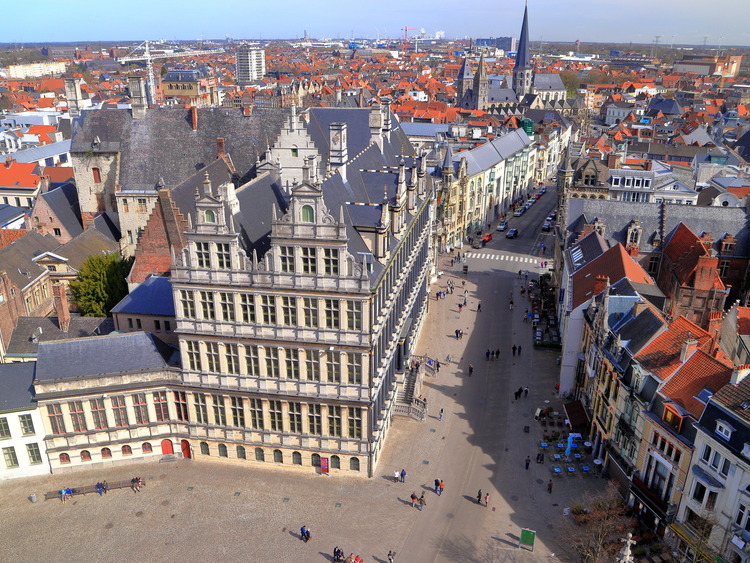 It is presently one of the most beautiful, people-friendly cities, capital of Flanders, a cultural and industrial entity. Our walk begins from St. Michael's Bridge, Ghent's most monumental bridge, from where it is possible to enjoy a breathtaking view of the city. From here it is possible to admire the old port, with the façades of the Corporation houses, the thousand-year old Gravensteen, the only Medieval castle which was ordered to be built by the Counts of Flanders, and the famous aligned three towers: that belonging to the Church of St. Nicholas, that of the Belfort or civic tower and that of Saint Bavo Cathedral. We will visit a small traditional chocolate factory where we will watch a true master chocolate maker busy*making the famous Belgian chocolate* within the store basement. It will be interesting to see how, beginning with just cocoa, it is possible to make magnificent fine Belgian chocolate bars using just select ingredients. A short distance away, we will find Saint Bavo Cathedral, the most important religious building in the city and a splendid example of Brabantine Gothic architecture. Inside, it is possible to admire the precious Baroque wood pulpit, and the piece by Rubens_*,_ The conversion of Saint Bavo* (1624).